I am Dr. Bailey! I am better than fine. 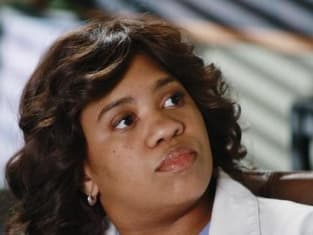 Permalink: I am Dr. Bailey! I am better than fine. Alex: Admit it. Her being around your guy bugs. Meredith: Okay. It bugs a little. Patients see us as gods or they see us as monsters. But the fact is, we're just people. We screw up, we lose our way. Even the best of us, have our off days. Still we move forward. We don't rest on all the rules or celebrate the lives we've saved in the past. Because there's always some other patient that needs our help. So we force ourselves to keep trying, to keep learning. In the hope that, maybe someday we'll just come a little bit closer to the gods our patients need us to be. There's this thing that happens when people find out you're a doctor. They stop seeing you as a person and begin to see you something bigger than you are. They have to see us that way, as gods, otherwise we're just like everyone else, unsure, flawed, normal. So we act strong, we remain stoic. We hide the fact that we're all too human.